"The installers are here and my big closet is finished and it’s amazing. Really, I’m so happy and so are my shoes (HAHA). More wonderful than I expected in every way. You did great designs for us, thank you so much. They’re nearly finished with Rick’s closet and it was a very tricky design with that odd angle in the corner, but you made great use of the space, and the angle shelves are perfect. Everything is so functional! You did a fabulous job. The Installers are very pleasant, capable and professional: and the quality of the material is top notch. Please use us as a reference and also please forward this to your Manager with our thanks for a job very well done." "Bob and I are so pleased we got to know you because we couldn’t be happier with our newly installed room. The cabinets, desk and Queen Bed worked out beautifully. Bob and I love “his Library and I love “my office and our guests will love having a comfy bed to sleep on. We will post room rates on the back of the door stating there is a 3 night maximum stay. Rod was wonderful too. 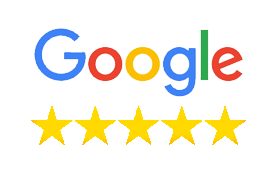 He was very professional and his workmanship is a “10” We complimented him throughout the job and upon finishing but please tell him again how we appreciate the great job he did Bob and I will do some advertising for you and hopefully send some business your way! Many, many thanks for a job very well done." "The bed was successfully installed today. Rod and Jonathan did a great job. They were conscious of details and did a nice job of cleaning up as they went along. They are a credit to More Space Place. As are you (Lucy) and Susan! This was a pleasant transaction. Thanks to all of you!" "Pete – Kim and I would like to thank you, and Jonathan (Installer), for working with us to design and install the perfect closet organizers and Murphy bed for our new home. You really went the extra mile adjusting our design to meet the changing needs of our construction plans."